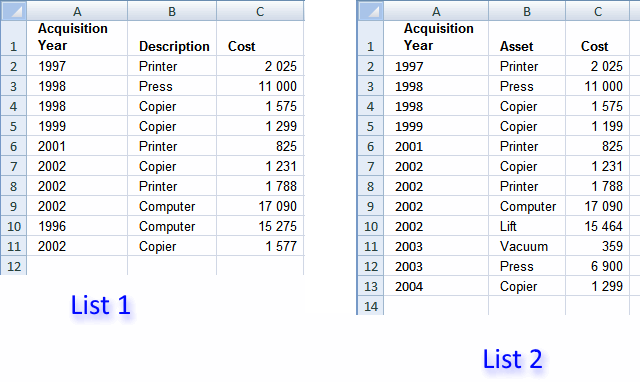 In this example we are going to use two lists with identical columns, shown in the image above. 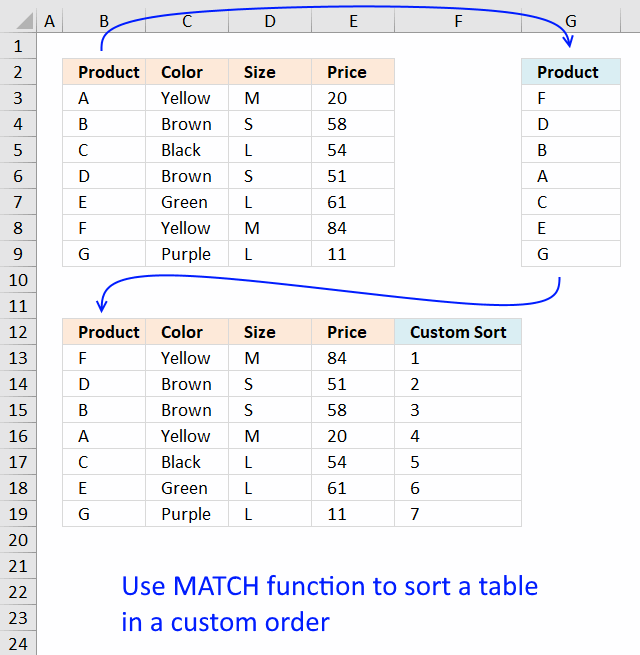 It is easy to modify the COUNTIFS function if your columns are not arranged in the same order, see the COUNTIFS explanation below. 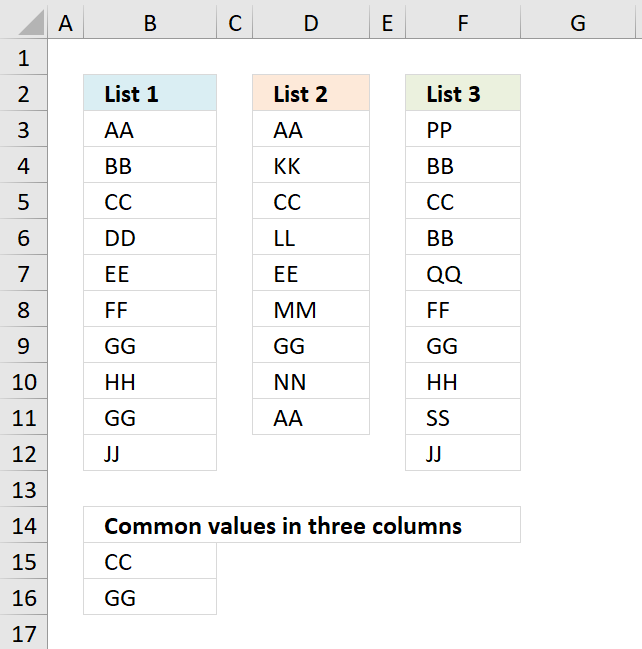 There is really no need for named ranges in this example, although they shorten array formulas considerably. You can skip this step if you want. 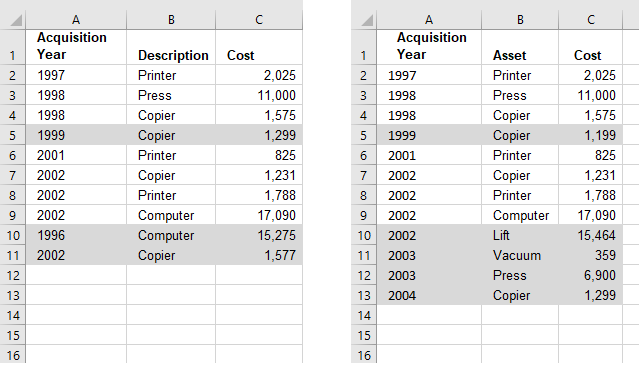 Select A2:A13 on sheet "List 2"
Copy cell A4 and paste it to the right as far as needed. 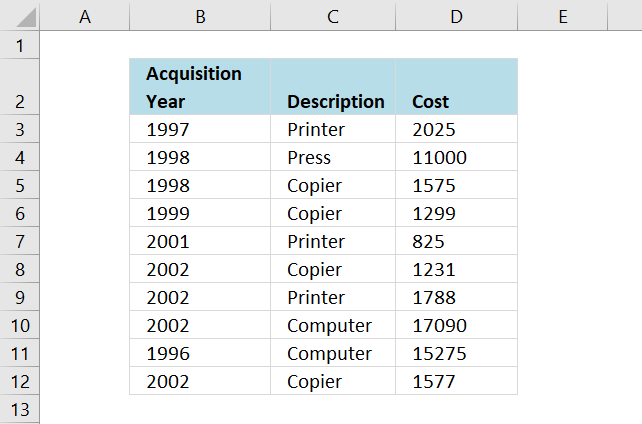 Copy cells and paste down as far as needed. 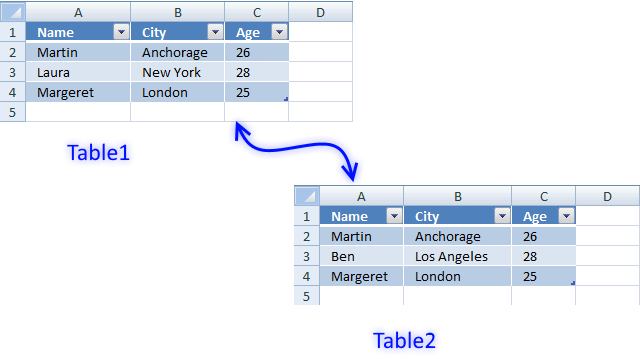 Let us take a look at the bolded part of the formula. 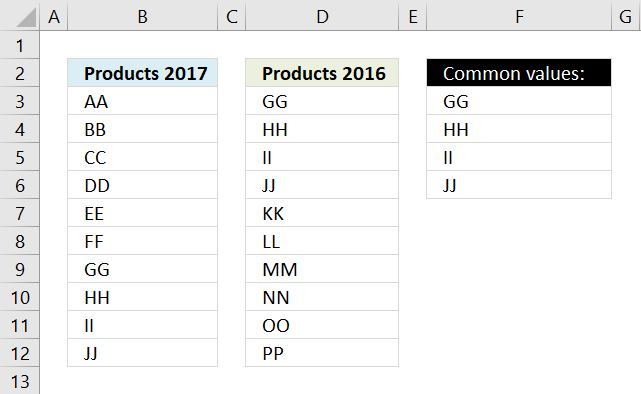 To be able to return a new value in a cell each I use the SMALL function to filter column numbers from smallest to largest. 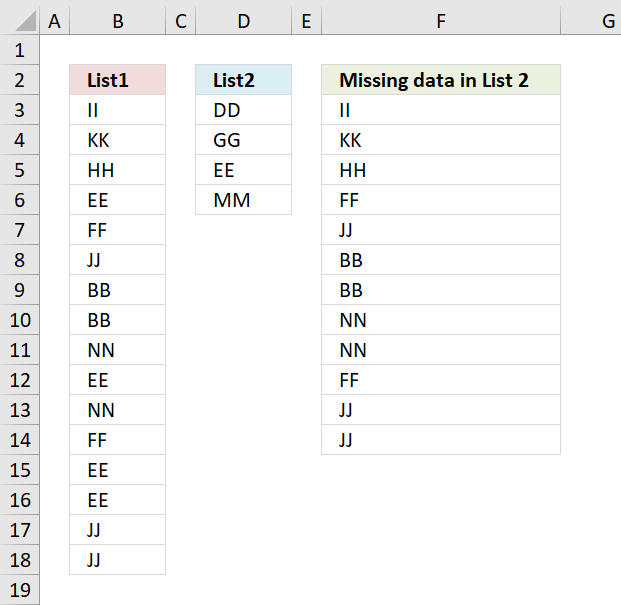 The ROW function keeps track of the numbers based on a relative cell reference. 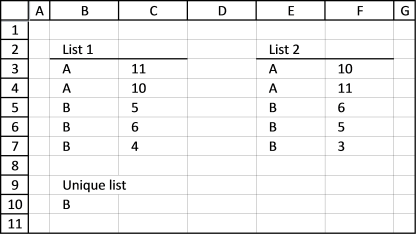 It will change as the formula is copied to the cells below. 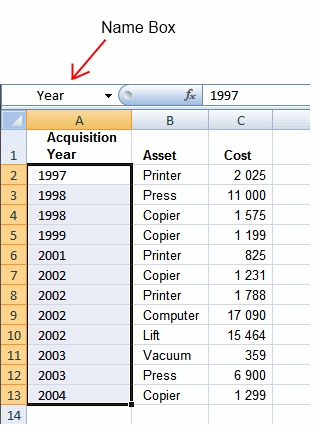 The INDEX function returns a value based on a cell reference and column/row numbers. 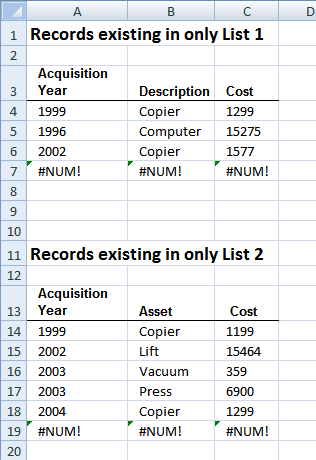 What values are missing in List 1 that exists i List 2?